Click forward arrow for the answer! A CALENDRICAL MEMOIR By STEFAN LONCE with MH FRYBURG, will be the first in a series of books explaining how the ideas and examples of Franklin D. Roosevelt and Ronald Reagan inspire STEFAN LONCE as he and MH FRYBURG attempt to start a business selling books, calendars, greeting cards, and other items, all with vanity license plates. 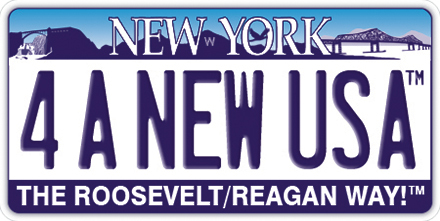 4 A NEW USA � THE ROOSEVELT/REAGAN WAY!� will be published in 2019. 4 A NEW USA � THE ROOSEVELT/REAGAN WAY!� is also a political manifesto. Roosevelt and Reagan were the 2 most transformative 20th century Presidents. FDR created the New Deal, which completely transformed the USA and the role of the US Government; Franklin and Eleanor Roosevelt provided the inspired leadership that won WW2. Reagan was a huge Roosevelt fan who preserved and strengthened FDR�s greatest domestic legacy -- Social Security -- when it was on the verge of insolvency in 1983. 4 A NEW USA � THE ROOSEVELT/REAGAN WAY!� is designed to persuade the NYS Senate and Assembly to pass legislation, introduced at the behest of Lonce and Fryburg, to name the new Tappan Zee Bridge (spanning the Hudson River between Westchester County, where Lonce and Fryburg live, and Rockland County) the FRANKLIN AND ELEANOR ROOSEVELT BRIDGE. Lonce and Fryburg also propose to rename the Verrazano Narrows Bridge (connecting Brooklyn and Staten Island, NY) the RONALD REAGAN BRIDGE and rename the BROOKLYN BRIDGE (owned by NYC, connecting Manhattan and Brooklyn) the MARIO CUOMO BROOKLYN BRIDGE. 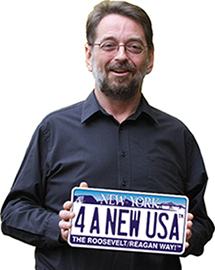 4 A NEW USA � THE ROOSEVELT/REAGAN WAY!� will be fascinating and fun. 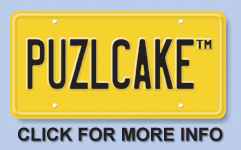 Lonce and Fryburg are the leading experts on vanity license plates. 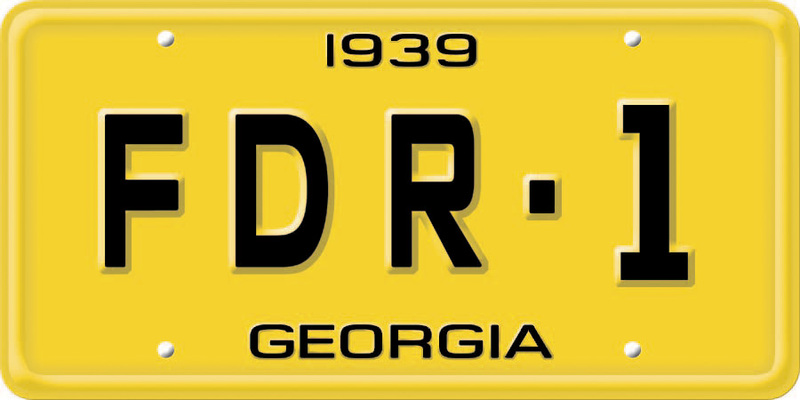 Franklin Roosevelt had the first known vanity plates, on his cars with hand controls he designed at the polio clinic he founded in Warm Springs, Georgia; the plates said [FDR]. On 8-21-1970, Governor Ronald Reagan signed the law authorizing California to issue vanity plates, which provides that the plate fees are paid to the California Environmental License Plate Fund; today, thanks to Governor Reagan, California earns $38 million annually from vanity plates for environmental programs, statewide! "Allison Masry is always with her husband, Rudolph, even when they're miles apart. That's because, in 2003, Ally donated a kidney to Rudy, who suffered from end-stage renal failure. Ally's vanity plate says DONOR, and Rudy's says DONEE." 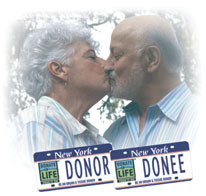 Ally and Rudy have DONATE LIFE special license plates, which promote organ donations, and their plates have probably saved lives: the Masrys frequently persuade people who stop to talk with them about their plates to sign organ donation consent forms.